Looks awesome. I can almost smell it. Thank you. I am so proud of that bread. I love freshly baked bread. It smells so good and tastes even better. Definitely, YAY to you. I never could've done that. It is the best right? I just gave it a shot and it worked out for the best. Thank you. I am really chuffed about them. That bread looks really good. I can't even heat up frozen pizza without burning it. I was just lucky I think. Don't take the blame, tell everyone your oven is on the fritz. It looks absolutely delicious! There wouldn't be any leftovers at my house! Thank you. 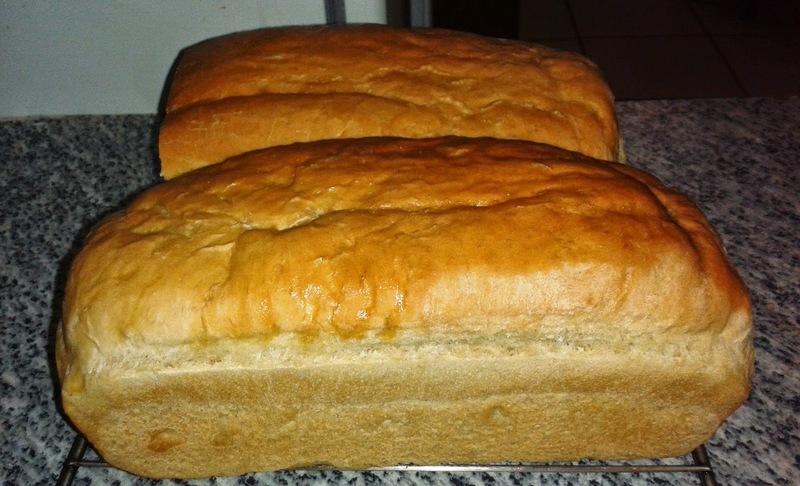 I think there is just something wonderful about freshly baked bread. My family loved it. Stop! You're making me hungry! LOL. That look's like an epic success if you ask me, and I bet your stomach would agree. I am on such a natural high right now because of this and it tasted rather good. Thank you. It definitely is, especially with butter. Yum!